MANILA, Philippines — As China has opened up to the global community, it has established “international communities” that serve as home to foreigners in an effort to promote cultural integration, social and charity services, among others. To date, China has established more than 80 such international communities that serve as a second home for migrant workers, businessmen, professionals and volunteers. Many of these communities can be found in the coastal megacities of Shanghai and Guangdong which have large populations of foreigners. 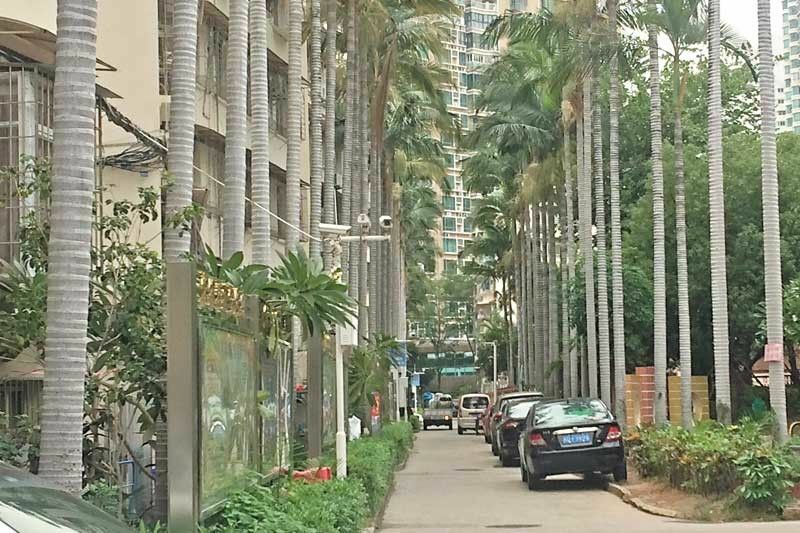 In Xiamen City, Fujian province – where most of the Tsinoys have roots and where Chinese President Xi Jinping served as vice mayor for many years – is the Guanren Community, established in early 1990s but opened to the public only in 2012. The non-profit organization funded by the government has developed a progressive approach to governance of a multicultural community that promotes inclusiveness and volunteerism. The Guanren Community building and grounds include several facilities such as Japanese and Korean restaurants. The community is home for around 24,610 people, including 1,461 foreigners from 46 countries and regions including South Korea, Japan, India, England, America, Australia and the Philippines. Distinctive coffee and bar streets with western food restaurants and markets surround Guanren, evidence of a healthy and harmonious environment for all races. Xu Lei, a social worker and the deputy director general of Guanren Community, says that everyone in the community understands and respects their differences in terms of culture, religion and beliefs. 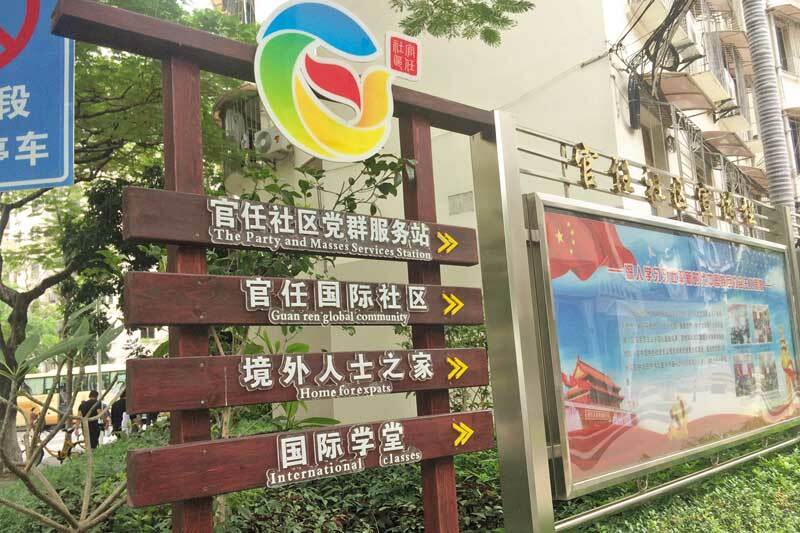 Xu explains that temporary residents who wish to live in the community must secure a certification from local police stations in Xiamen City for their residency permits within 24 hours upon entering China. Interested foreign residents should follow all the requirements of the community and the government before they will be allowed to stay for a longer period of time. Violators can be fined up to RMB2,000. As a way of reciprocating the hospitality of the Guanren Community, the expats exchange cultures and values with each other as well as with locals to attain harmonious relationship from within. The foreign residents also offer a few hours of their free time to share their expertise and to provide “charity education” such as free English lessons to Chinese children and the elderly. “We all know that some of our Chinese children and locals have no formal English learning. Many foreign volunteers have to learn Chinese and know more about our words,” Xu says. 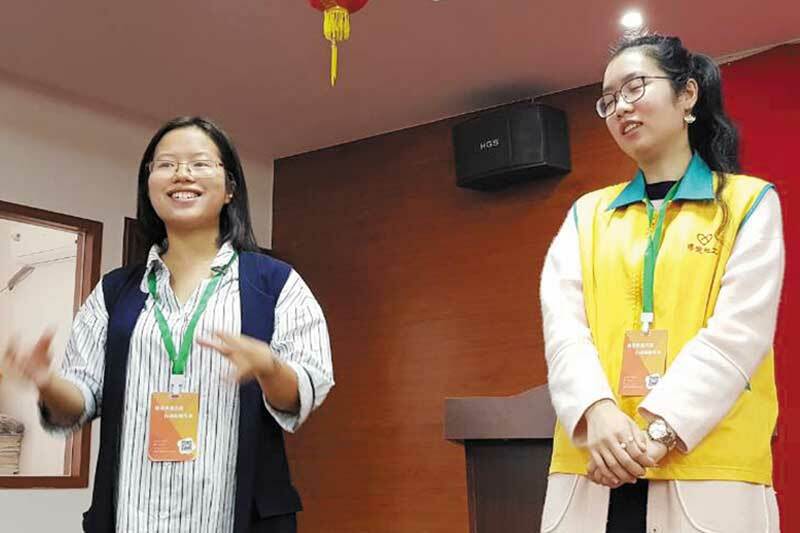 In return, foreigners get free Mandarin lessons from Chinese teachers in the community and a traditional Chinese medicine class, among other lessons that they can bring back to their countries. A garden is located at the rooftop on the third floor of Guanren’s main office where both locals and foreigners can plant vegetables. Chinese tour guides Xu Lei and Effy. Xu says the garden is not only for planting activities, but also to enhance the community’s environment and to create a friendly and healthy living space for all. 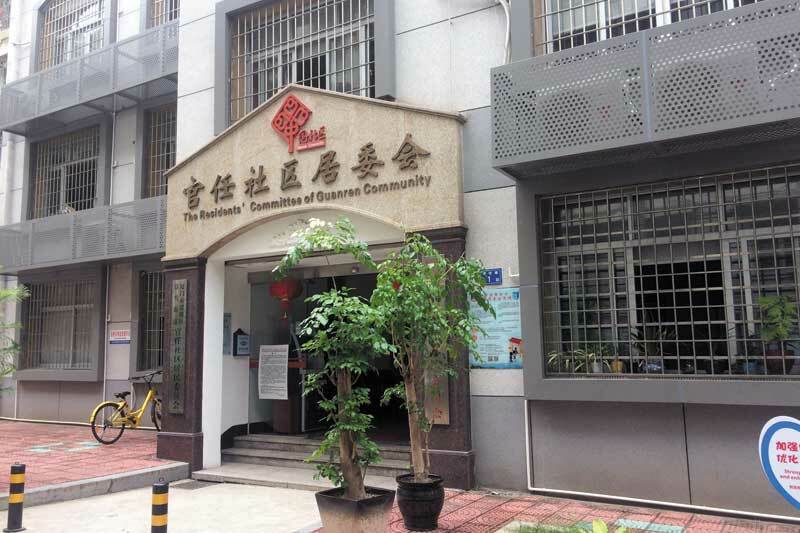 To ensure funds for their charity works, Xu says the community organizes money-generating activities like a monthly Charity Market, with proceeds going to their children’s education program. The Charity Market not only aims to sell their handicrafts, but is also a way to showcase the residents’ talents through different performances and other activities to promote camaraderie among residents. “We are here to make our community a better place for the locals,” Effy, a Chinese tour guide, adds. Through its Charity Market, the community has already raised RMB78,842.99 and donated RMB50,146.48 for its library, built a library in Jiangxi province and helped calamity victims in Nepal. Journalists from the Philippines and Brunei meet Chinese offi cials in Xiamen. The community has also designated a room called Foreign and Overseas Citizens Club where all forms of donations, including used clothes and books, are kept. Second-hand books are donated to the Nanqiang Rural Student Association of Xiamen University in preparation for a library that is being constructed there. Xu says there are around 30 to 40 Filipinos in Guanren who have been doing volunteer work, including teaching. A Filipina who married a Chinese businessman has enrolled in a Chinese painting class while a Filipino lawyer, who just recently joined the community, is teaching English. Currently, the Guanren is looking for foreign volunteers with expertise in planning, writing, arts, photography and English, and Chinese who are good at calligraphy, knitting, opera, kung fu and other traditional skills. 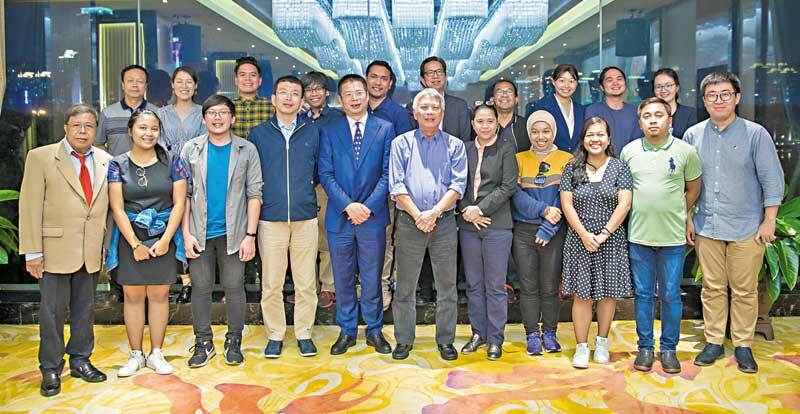 Ten Filipino and four Bruneian journalists were recently invited by their respective Chinese embassies for a 10-day media tour of Beijing and some cities in Fujian province, including Xiamen. Our trip to the Guanren Community gave us a look at a unique aspect of expat living in China.